Today I thought it would be really fun to share with you all my everyday jewelry! This is the stuff that I wear everyday, so when I post outfit posts I can reference this post to show you all my jewelry. I love this simple gold jewelry, because it is a great chic addition to any outfit. 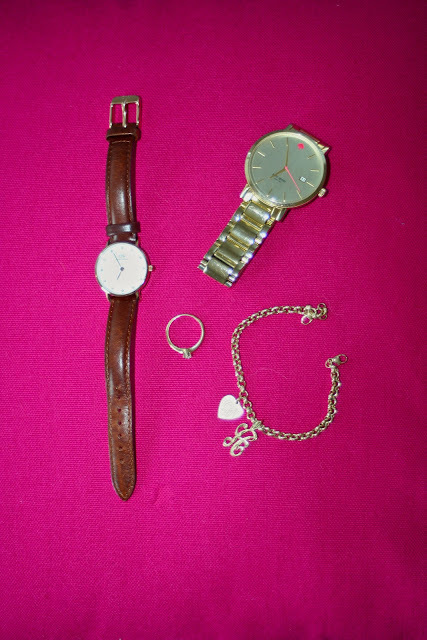 Here are all of my everyday jewelry items. I usually wear a watch with my gold bracelet and ring. My bracelet was a gift when I was born and it is from a local jewelry store. The bracelet and both the charms are gold. 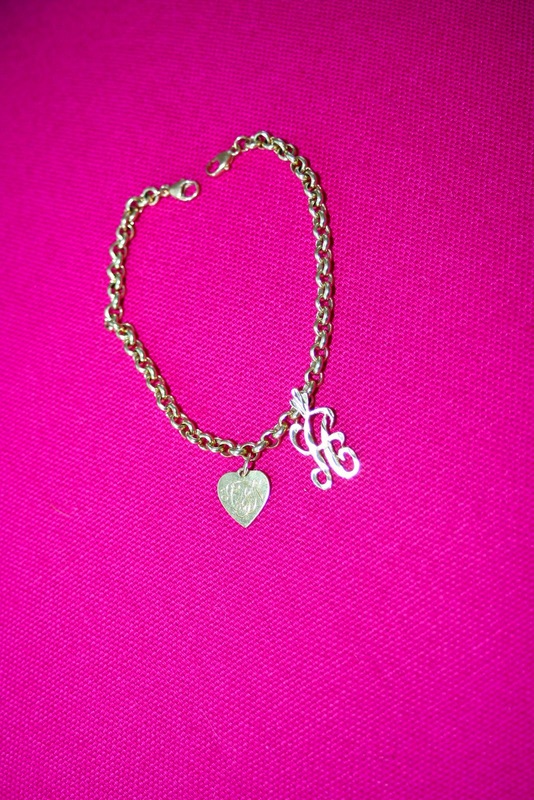 The heart is engraved with my monogram on one side and my birth date on the other. The other charm is a script A. Here's a link to a similar one. My ring was passed down to me from my grandma, it was hers when she was younger. It is a gold band with a simple diamond. Again I can not link the exact, but here is a similar one. 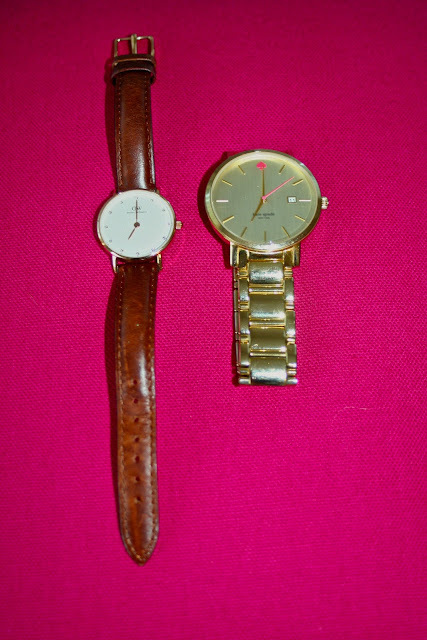 Here are my two watches. The brown leather band one is from Daniel Wellington and the gold one is from Kate Spade. Based on whatever outfit that I am wearing I will choose the watch that I think matches the best. My brown watch is much more small and simple than the gold Kate Spade one, but I love the details of both of the watches! Here you can see how I wear my jewelry everyday! 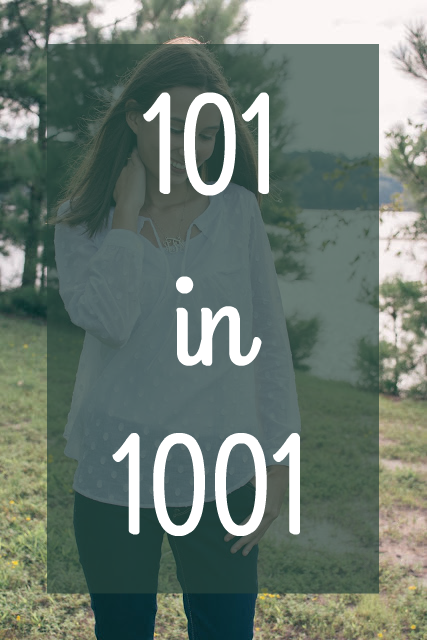 It adds the perfect simple, but chic touch to your outfit and I love how everything is gold and coordinating.